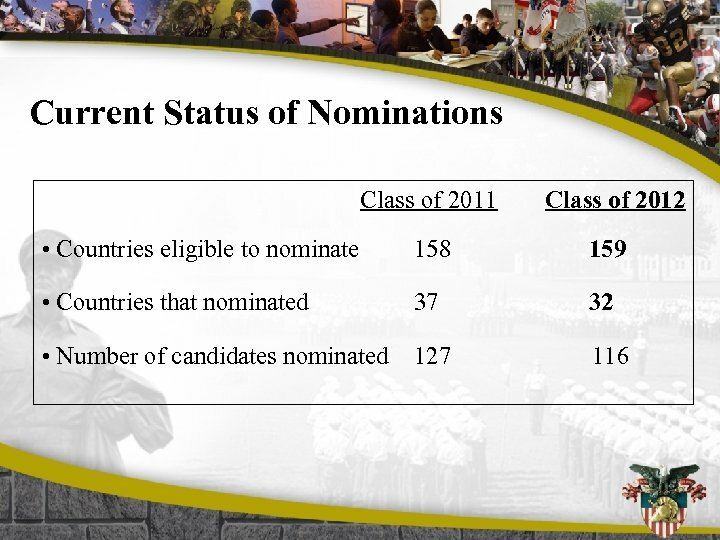 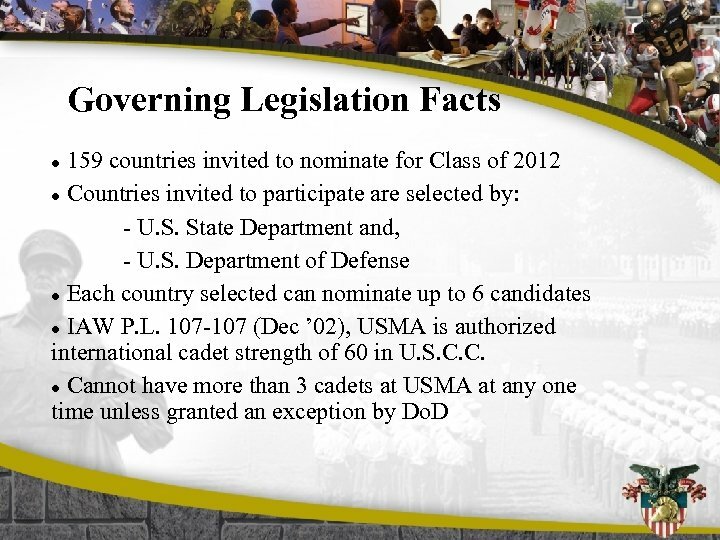 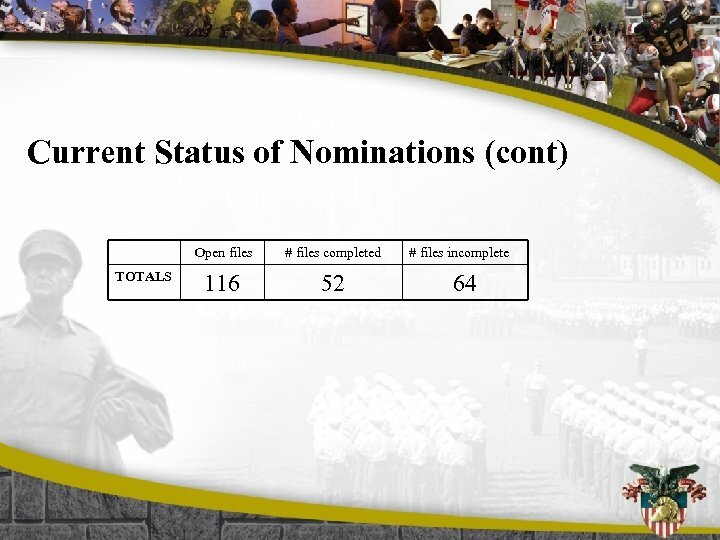 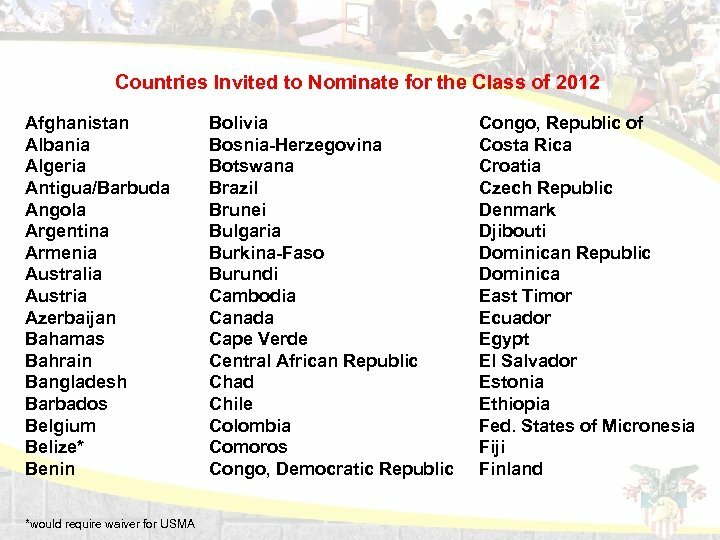 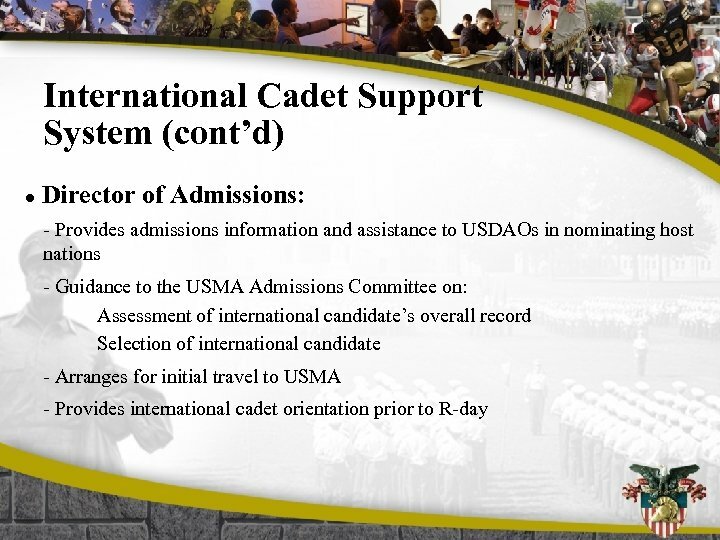 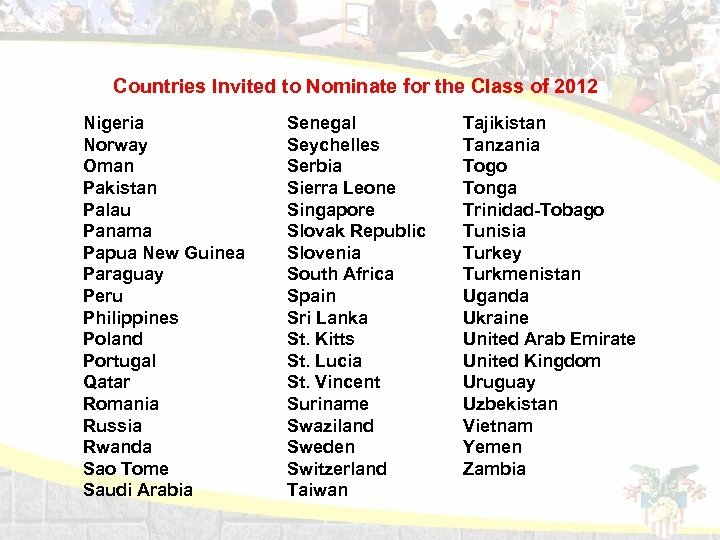 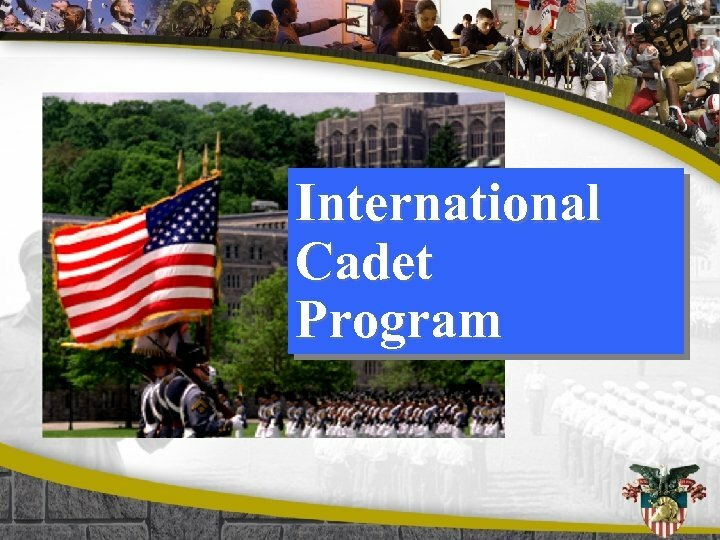 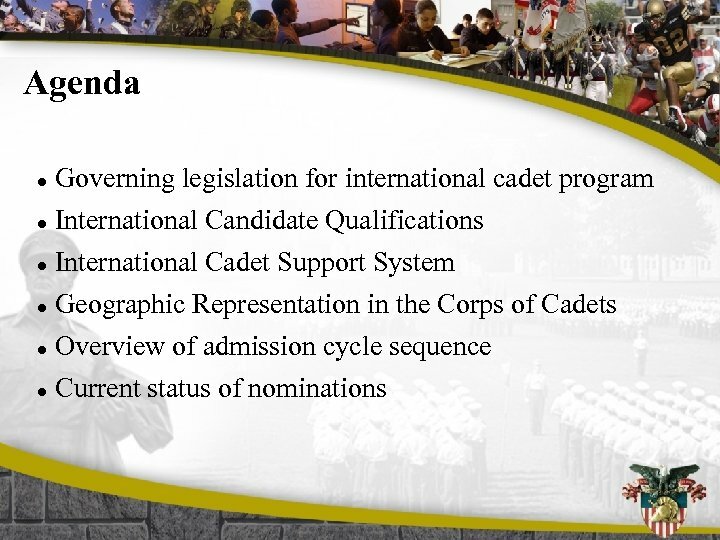 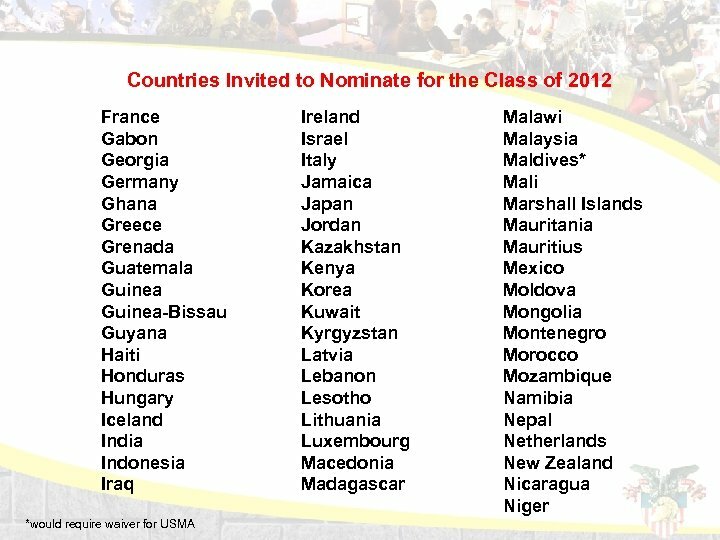 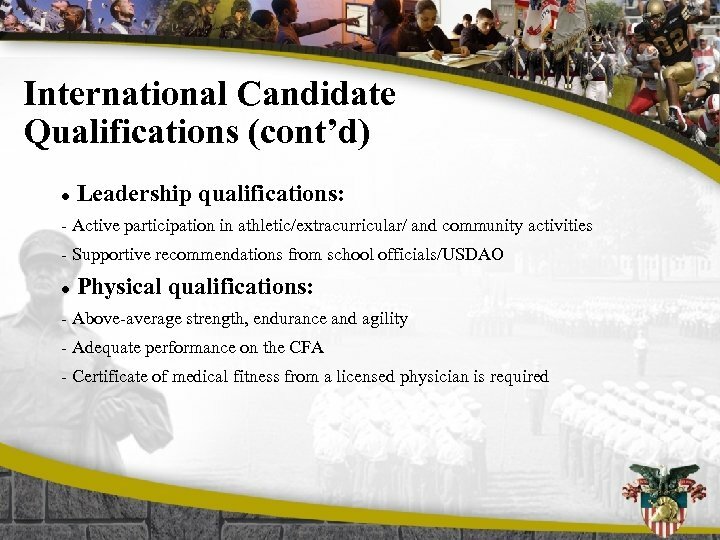 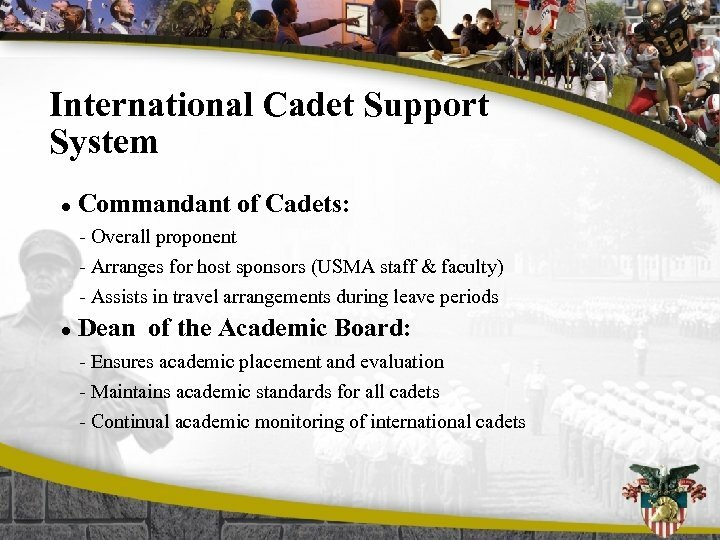 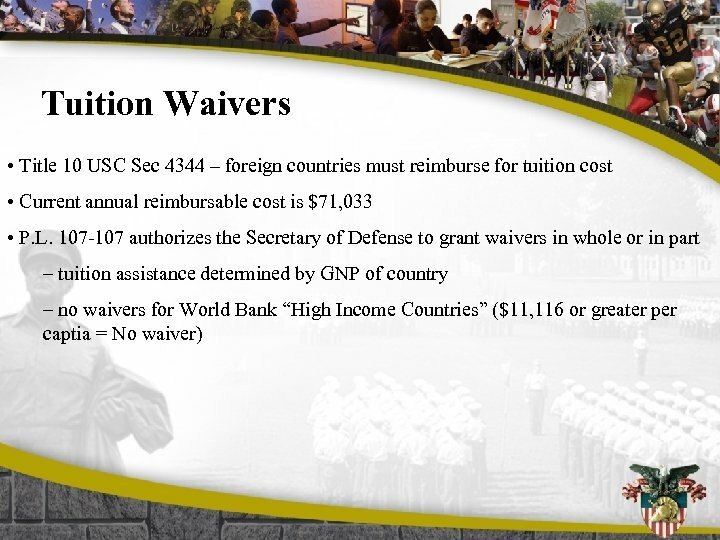 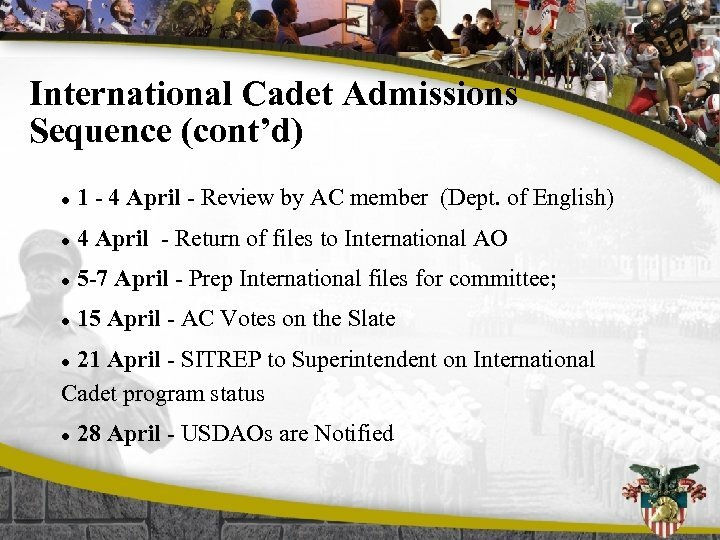 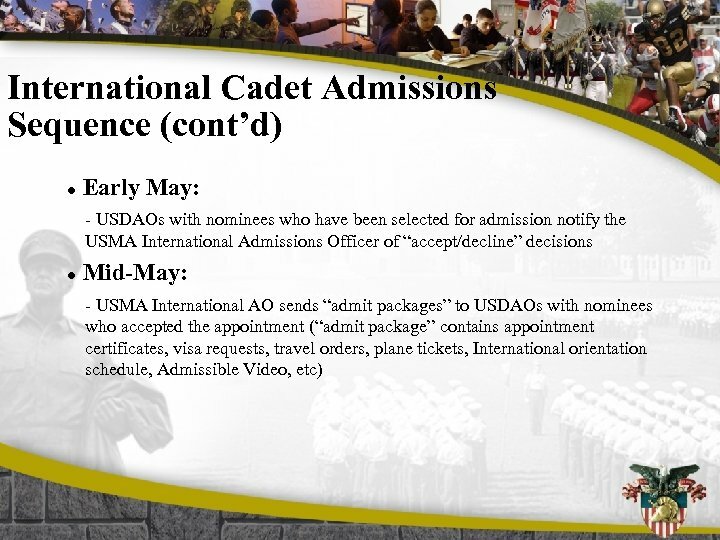 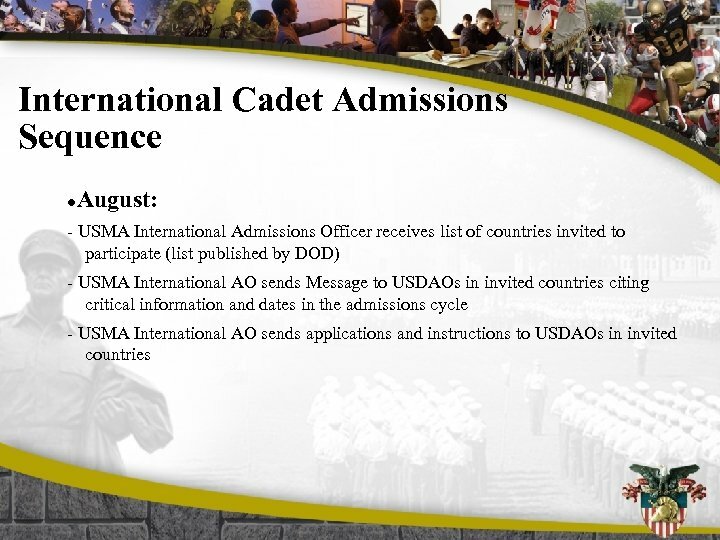 International Cadet Admissions Sequence (cont’d) l Wednesday prior to R-day - International Cadets travel to JFK or La. 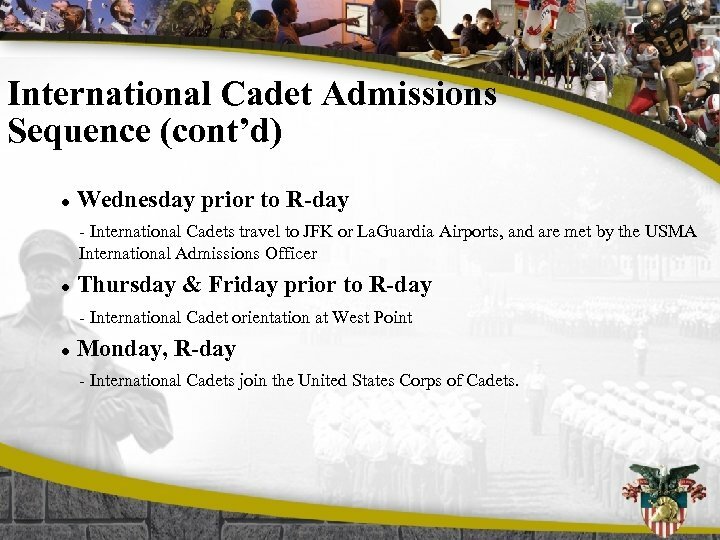 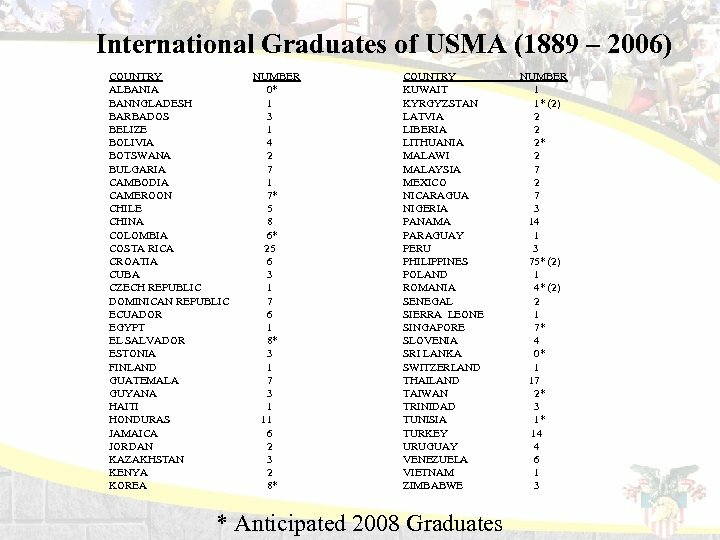 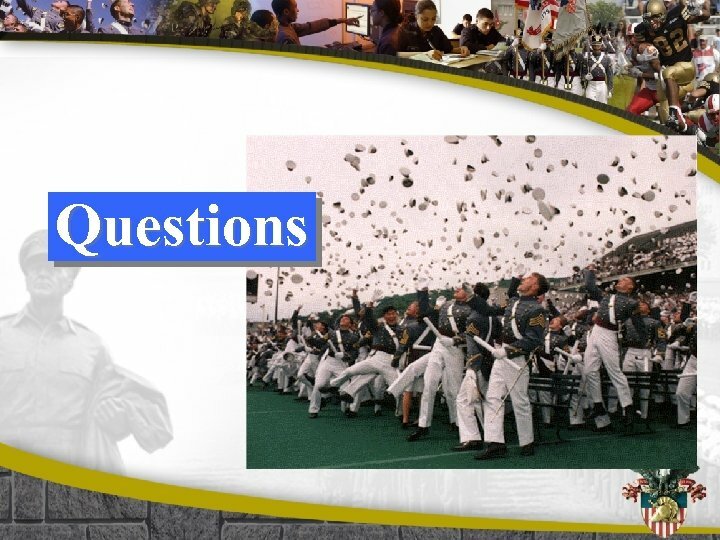 Guardia Airports, and are met by the USMA International Admissions Officer l Thursday & Friday prior to R-day - International Cadet orientation at West Point l Monday, R-day - International Cadets join the United States Corps of Cadets. 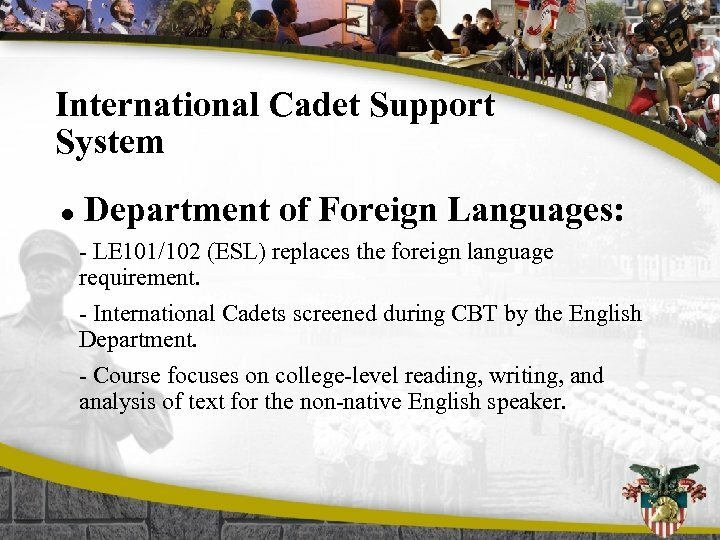 International Cadet Support System l Department of Foreign Languages: - LE 101/102 (ESL) replaces the foreign language requirement. 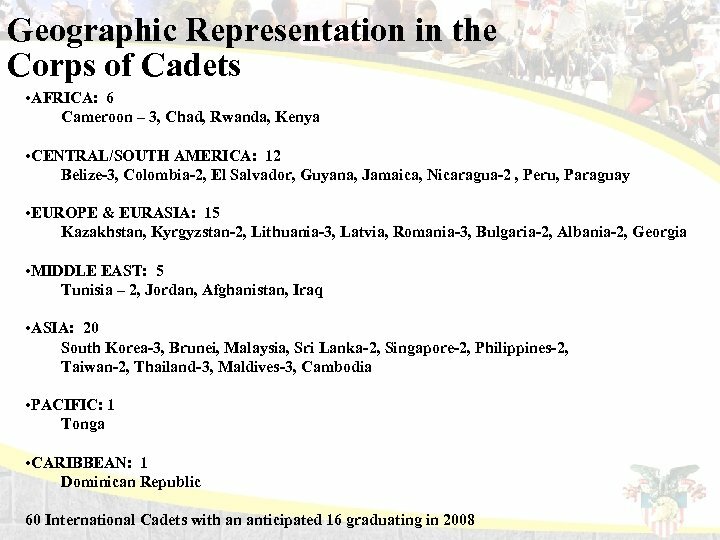 - International Cadets screened during CBT by the English Department. 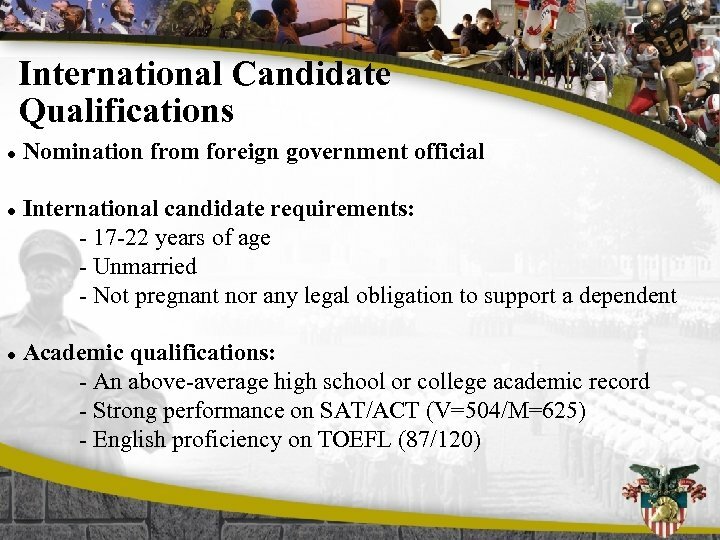 - Course focuses on college-level reading, writing, and analysis of text for the non-native English speaker.